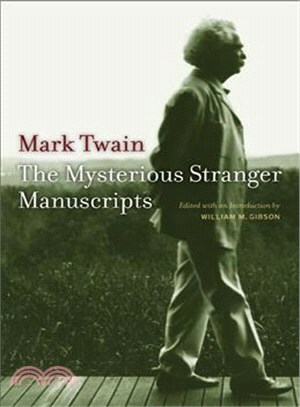 Six years after Mark Twain's death, Albert Bigelow Paine, the author's literary executor, brought out a bowdlerized edition of The Mysterious Stranger, which he patched together from Mark Twain's three unfinished manuscripts, produced, Paine asserted, during a period of supposed creative paralysis. Scholars have since discovered that Paine's edition of the book was largely based on the earliest of those three versions, onto which Paine then grafted the final chapter of the last version. Indeed, Paine changed so many of the book's essentials that it cannot be said to accurately reflect the author's mood and thought at all. Gibson's volume, first published in 1969 and now back in print, presented the manuscripts for the first time exactly as Mark Twain wrote them. Here the reader is offered a glimpse of Mark Twain's creative process on what many critics consider the finest fiction of his later years. While the work was begun in 1897 and revised first in 1902 and then in 1908, the third version was the only manuscript actually titled The Mysterious Stranger. These texts provide a rare opportunity to observe Mark Twain's sustained literary struggle with a central theme. William M. Gibson was Professor of English at New York University.